There are currently 3,434 users on this website. 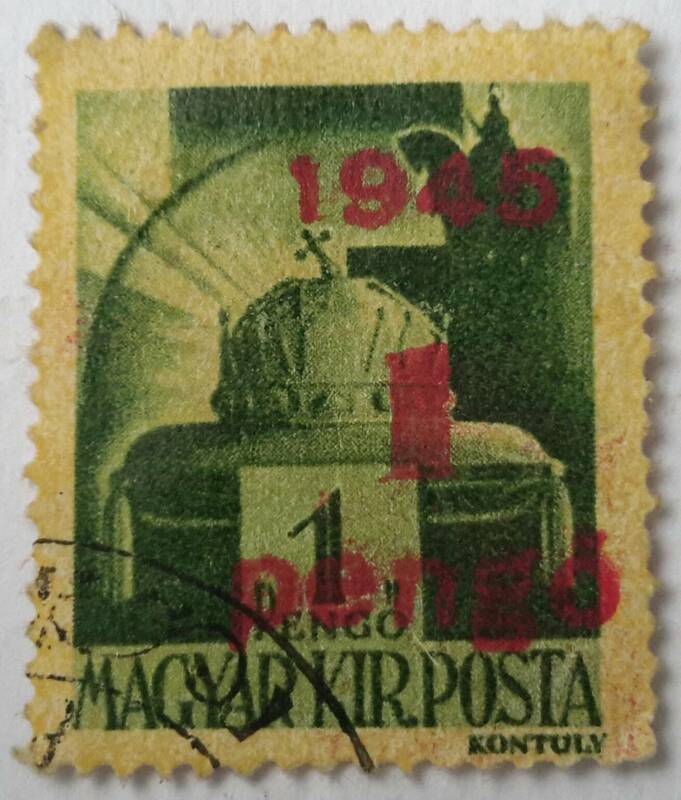 I wonder if anyone knows the reason why the stamp is overwritten with the same detail that existed on it. I came across another for 2 Pengo overwritten with 2 Pengo again, also in pink. 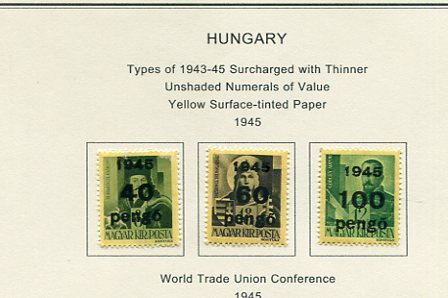 The only important part in this overprint is 1945,date of a new political system. 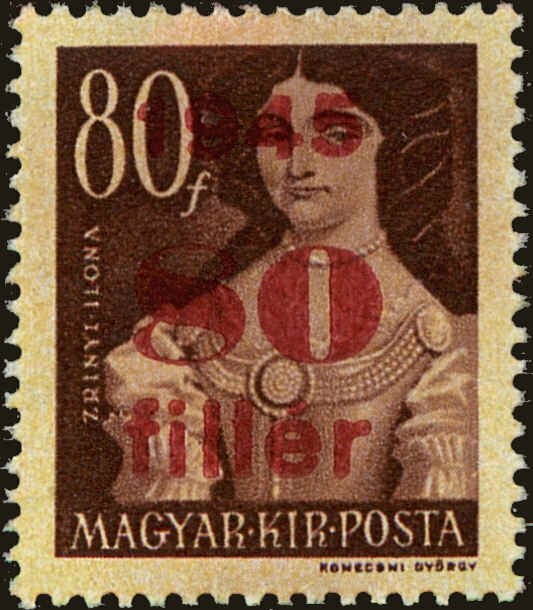 I suppose that stamp without overprint could not be used anymore. 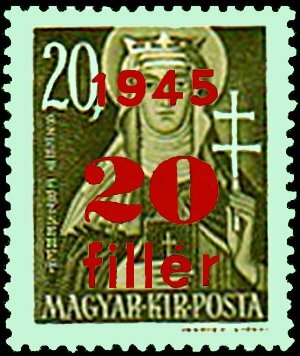 Stamps are rich in history. One learns a lot. I think vayolene is on the right lines. 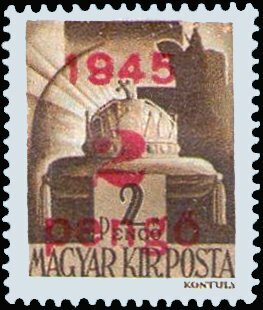 The original stamps were printed during the War while Hungary was occupied, but in 1945, the Germans were forced out and a new political structure came into being. 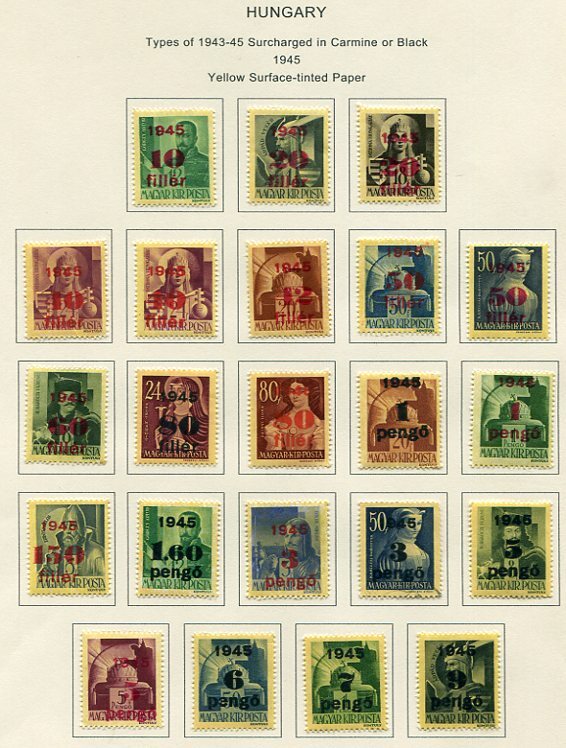 These are 1945 provisionals and my guess is that at that point, previously issued stamps would no longer be valid. 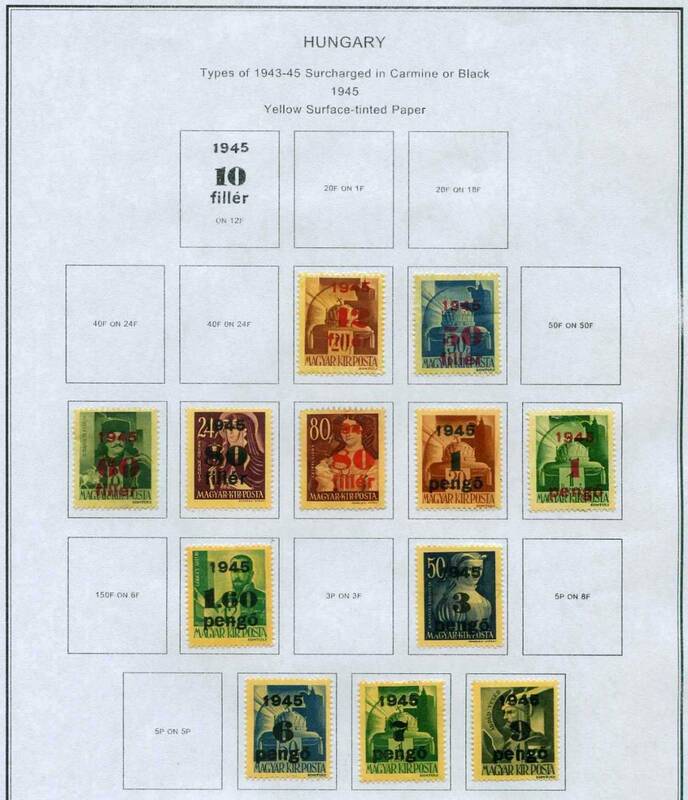 All usable stamps would need to bear the new overprint of the new issuing government, hence a seemingly needless overprint was needed to distinguish the new stamps from the old. I see your Pengo and raise you a Taka. Rod, I always enjoy seeing your scanned examples for nearly any topic! this time was trumped by floortrader's lovely pages. A tricky set to complete. ROD ---I am sure there are lots of pages in your collection than would trump my pages . Just enjoy seeing everybody's pages . Nice pages rod and floortrader!